Membership & Positions held include the following: Past Master of Smithsonian Lodge #155; Past Master of Magnolia Lodge #3; Past High Priest of Sunrise RAM #77; Past Generalissimo of Sanderson Commandery #2; Past Potentate of Doric Shrine Temple #76; Past Secretary-Goodwill Consistory #238; Past Most Eminent Grand Commander-Lone Star Grand Commandery of Knights Templar Masons; Past ME Grand High Priest-MEPHGC HRAM of Texas; Past General Conference Grand High Priest-General Grand Conference of Holy Royal Arch Masons. Volunteer with US Dream Academy—AEAONMS-Mentoring Program. 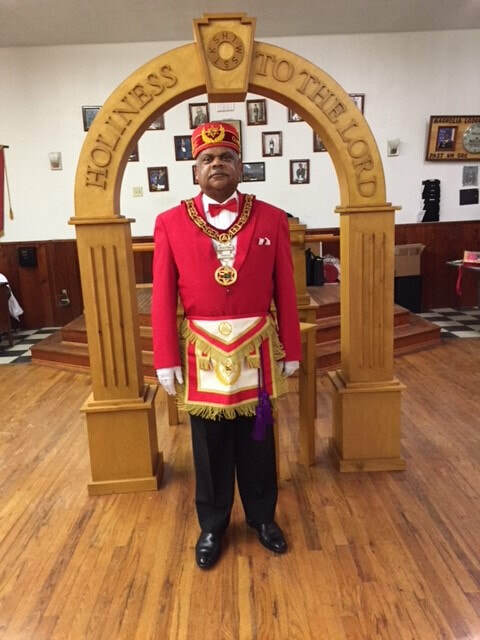 Honorary Past Thrice Ill Master- Perfection Council #9; Past Secretary-A.W. Jackson Commanders of the Rite. Grand Auditor-Most Worshipful Grand Lodge of Texas; Auditor-Desert of Texas Prince Hall Shriners; Grand Treasurer-MEPHGC HRAM of Texas; Recording Secretary-Texas Council of Deliberation; Commander-n-Chief-Goodwill Consistory #238; Secretary-J.T. Maxey Phylaxis Society; Treasurer-Jeremiah Smith #73 OES; Treasurer-Sunrise RAM #77; Grand Treasurer-General Grand Conference of Holy Royal Arch Masons; Imperial Deputy of the Oasis-AEAONMS-Houston, TX. ; Journey 2Manhood Mentoring Program-Doric Shrine Temple #76; Chairman of the Board-Thomas H Routt Memorial Scholarship Fund-Houston, TX.